I don't often watch these direct-to-home-video animated DC movies, but Brian Augustyn and Mike Mignola's classic graphic novel is one of my favorite takes on Batman, so I needed to see how it was adapted. Sadly, the movie takes the central concept of Victorian Batman vs Jack the Ripper, but creates a whole new, much inferior story from it. I knew I was in trouble right away when Poison Ivy appears as a prostitute murdered by the Ripper. The generic, anime-influenced art direction isn't as visually cool or interesting as Mignola's designs, either. Wholly disappointing. I didn't finish this, but I rank it slightly above Gotham by Gaslight because my expectations were so low going in. I was fascinated with how much it felt like a Marvel Cinematic Universe story: either Black Widow or the Leviathan organization from Agent Carter. I begrudged it that similarity at the same time that I admired its guts for using the same scenario. 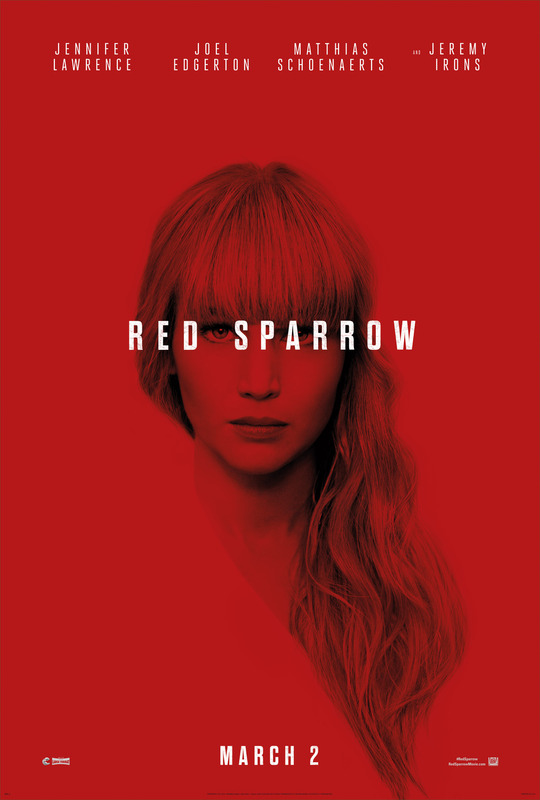 There's a good spy story in Red Sparrow, but the movie desperately wants to be a psychological thriller instead. The trouble is that it's not that deep. Its observations are neither insightful nor interesting. And Jennifer Lawrence plays a woman who starts the story super reserved and is forced by circumstances to become even more restrained, so there's not even a compelling performance to latch onto. 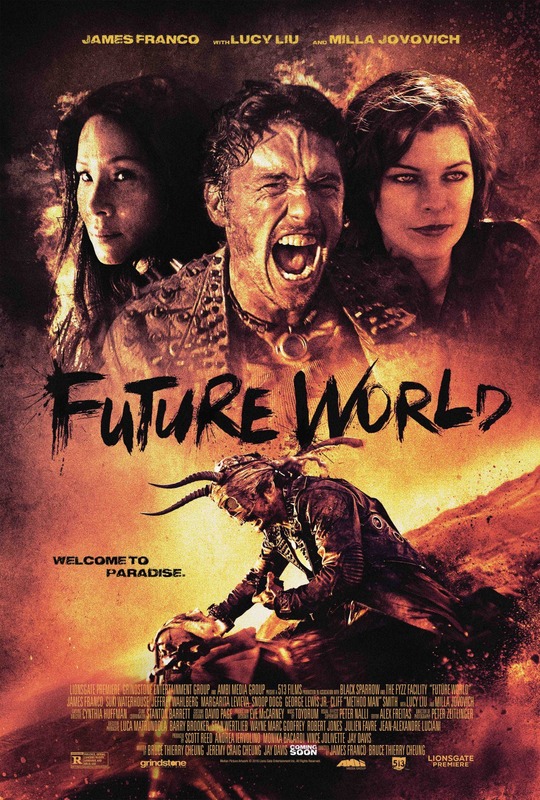 The poster would have you believe that Future World is The Road Warrior with James Franco, Lucy Liu, and Milla Jovovich. I wish that were true. But the movie wants to more than just a grindhouse movie, so it divides its focus and ends up not even as good as a grindhouse movie. Not only does it not achieve its goal; it's worse than the thing it's trying to be better than. And it's a shame, because that is an awesome cast. 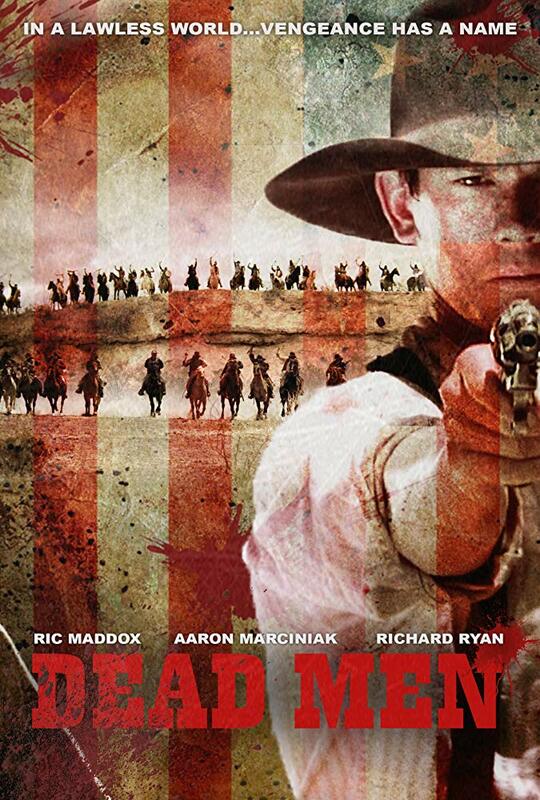 I wish I knew the history behind Dead Men, because it's a weirdly curious movie. It's edited like a TV show, including hard cuts for commercial breaks. It's also three-hours long and ends abruptly, as if was intended to be a series, but ran out of funding so here it is stitched together into something that resembles a movie. It's very low budget, so the acting isn't great, the costumes don't fit or look authentic, and the dialogue is poor. But dang does it have ambition. The filmmakers wanted this to be epic and there's certainly a lot of story. Some of the situations are compelling, but I wish that the whole thing was better told and that there was a real ending. As it is, it just gets to a certain place and stops. The DC animated features used to be an oasis but lately it's dried up. After The Killing Joke, the Harley Quinn team up and a few others there's an over dependence on Batman but also seemingly unnecessary content so that they can justify that PG-13 rating so that they can shout in a squeaky voice "WE DEMAND TO BE TAKEN SERIOUSLY!" The freedom from ratings prescription on the DC universe platform is doing wonders for Young Justice so we'll see how that release affects their future features. The only one I've seen here is Red Sparrow, and while I didn't hate it, it's in my bottom 3 of the year (theatrically). Which means it was just ok. I too hoped for a Black Widow movie in disguise, but it has no sense of fun. I'll watch Atomic Blonde again and I'll be fine. Erik, the only other one I've seen was the Wonder Woman movie starring Keri Russell. I enjoyed it a lot. It felt like a labor of love that someone was worried wouldn't find a mainstream audience, but made sense to produce if done relatively inexpensively. 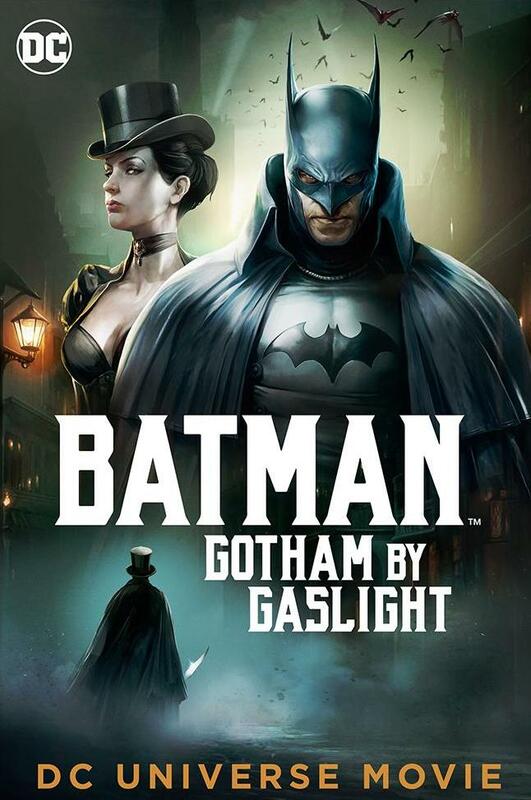 With a now-proven audience for these things, Gotham by Gaslight feels like an easy sell based on a popular comic. Siskoid, in reference to Atomic Blonde: Exactly. The direct to video animated features have had some curious hits and misses. I agree that there have been plenty of adaptations of popular elseworlds stories that feel like they were made because of the popularity of an arc that wouldn't fit in an episode of an animated series or live action film. Unfortunately the distinctness of those stories doesn't always translate because its removed from their original context and set in a different medium, but thats definitely a case by case judgment. If you're looking for recommendations, The Return of the Caped Crusaders that reunites Adam West and Burt Ward is a gem. There are scenes that feel self indulgent just because they got Adam West back, but that just makes it all the more fun!